Since our last prayer letter, we have had some pretty significant plan changes and have a new accelerated timetable that we would ask you to be praying with us about. New Timetable – Back on quick Furlough, then Church Plant! Originally, we had been planning to come back in January for our furlough, and all of our plans were for that timeframe. Two things happened to change those plans: (1) We finished our formal language studies sooner than anticipated, and (2) we were surprised by a new addition to the family on her way! Unfortunately, though we are thrilled with both of these developments, it creates significant complications with our original plans for meeting the financial needs for this new phase. Choosing the fast track means scrapping all our original furlough plans, losing any meetings with potential new supporters that could help with new ministry needs, but it also allows us to get back in order to have our 3rd baby girl in Thailand, saves Lori from having to travel while 9 months pregnant, and moves up the start of the church by several months! So, we have returned to the States for a quick furlough 3 months early and will be returning to Thailand in January to begin this work! 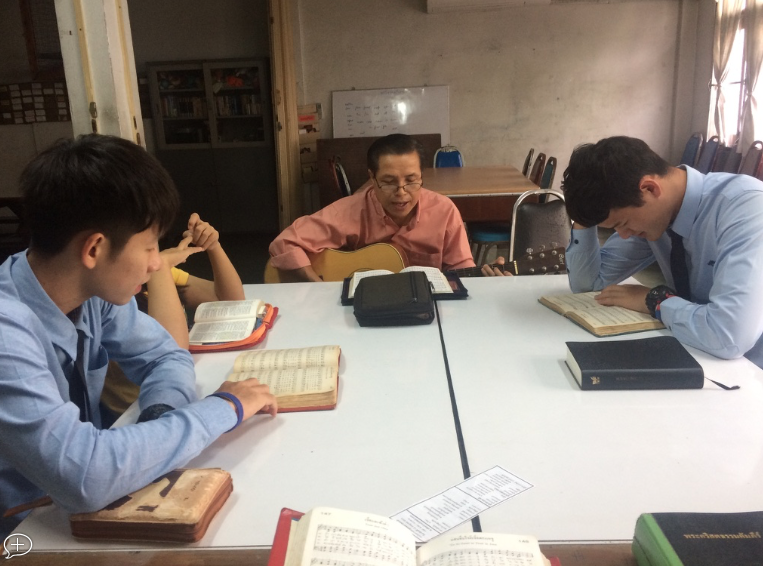 We have worked to learn the language and culture since arriving in Thailand and have been teaching, preaching, and holding Bible studies in our home, but as soon as we return to Thailand in January we will begin work on our first church plant! This is the time that we have been preparing for for a long time and we could not be more excited! This accelerated timetable adds a lot of pressure to meet the financial needs of the new church, so we are asking and trusting the Lord to provide for these needs in a special way and would ask you to pray about this with us. $15k (one time) – For in startup costs for things like the sound system, chairs, rental deposits, building renovation, materials, and advertising. $500 (monthly) – We also are needing to raise an additional $500 a month for ministry expenses associated with the new church plant. Though not directly related to the church plant, we also have our 2nd child since arriving in Thailand coming in April as well as and our oldest starting school soon! We are so grateful for our supporters. One supporting pastor recently contacted us to tell us that their church is praying to increase their support in order to help meet some of these needs! We are praying for 10 other churches to give toward the Thailand Church Planting Fund in order to meet this need of $500/mo. Praying for these needs to be met and that the Lord will bless you with added support.